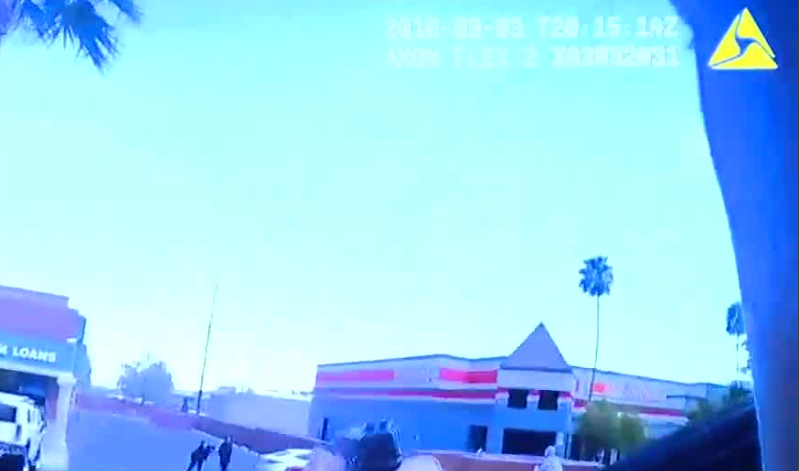 Las Vegas police called a woman who knocked away a gun from a robbery suspect "very brave" during a press conference Thursday. 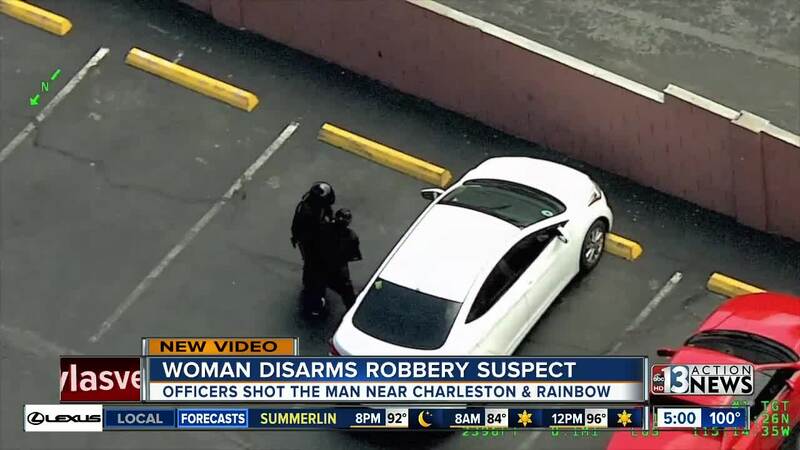 Around 1:10 p.m. Monday, police received a call about an attempted robbery in the 1100 block of South Rainbow Boulevard, near Charleston Boulevard, at the Super Pawn Shop. When officers arrived, they encountered a couple who told them a man wearing a helmet was inside the store with a gun. As they were setting up a perimeter, the man, now identified as 27-year-old Mario Trejo, exited the store with a female hostage, an employee at the pawn shop. He had one arm around the hostage’s neck and his gun held at her head. Police said Trejo forced the hostage to walk towards his vehicle which was parked nearby as officers issued multiple commands. As Trejo and the hostage got closer to his vehicle, he pointed his firearm towards the officers. back into the business. Police said the woman was not harmed. On Thursday, police showed video from their helicopter showing Trejo with the hostage along with officer body-camera video. Trejo pulled out another gun and aimed it at officers. Officers fired 10 rounds with one round hitting Trejo in the chest. Police said that he is stable but his exact condition is unknown. Trejo faces charges of robbery with a deadly weapon, burglary while in possession of a gun, assault on a protected person and kidnapping. Police said he had a prior conviction for burglary and various traffic violations.